Langley Garret’s Sunday morning starts very badly after waking with a hangover and a depressed feeling of worthlessness, along with a foreboding sensation in his gut. With his wife working away yet again, and the realisation that their marriage is probably very close to an end, and that his life is slowly ebbing away, he ponders his misfortune. As he decides to start accepting that his life just couldn’t get any worse, over his breakfast of coffee, cold pizza and orange juice, it does, when his miserable, quiet and lonely Sunday morning is interrupted by people who have orders to abduct him. Within hours of being questioned, captured, drugged and restrained, he finds himself dumped onto a small remote island, with no idea at all why he was taken bodily from his apartment on a tranquil Sunday morning, or why he is sitting alone on a rock, with only his suitcase and a pleasant view of sunrise across the water for company. As with all mysteries, it takes some time for Langley to learn a little about why he was abducted, but before he has time to start digesting that limited knowledge, his second abduction a few days later has him totally confused, and all at sea. 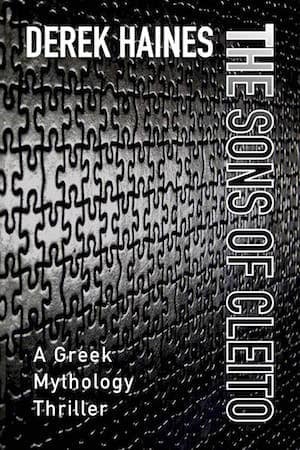 Find out more about Langley Garret’s abduction and mysterious misfortunes, Greek mythology, gods and deities, secrets, and some more very nasty people, in The Sons of Cleito, and the sequel, The Few.